After purchasing Nars’ Larger Than Life Long-Wear eyeliner in Abbey Road – something I mentioned in my last post – I went a little crazy with the turquoise and teal. I adore the oranges, yellows, and reds of fall, but who doesn’t love a contrast? That being said, I was digging through my closet this morning came across a blouse I purchased this summer. It was an unusual buy; I’m not usually bold enough to wear bright, sheer button-downs. But I took a chance on this $12.99 bargain from T.J. Maxx, and I’ll admit that I’m a little in love with how it works. 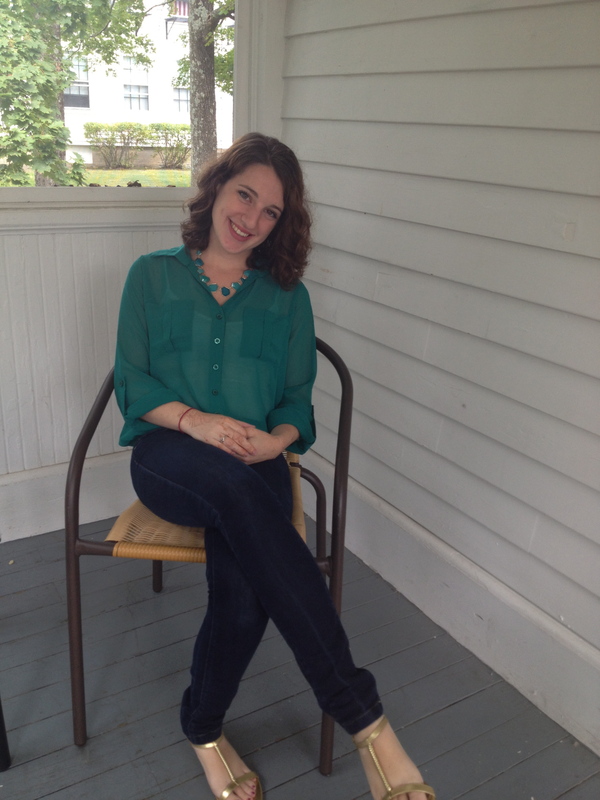 I wore the shirt tucked into my favorite pair of Paige premiums (another bargain purchase: $18 on eBay in a 24/00). I accented with a pair of (clearance) gold, 1/2-inch heeled t-straps from Talbots and a statement necklace from Francesca’s. Unfortunately, they only sell the necklace in stores, but I found this similar one on their website. “Toasted” is a perfectly-pigmented, all-day, flattering-on-everyone shadow. It’s the perfect, everyday bronze that can be dressed up or down. 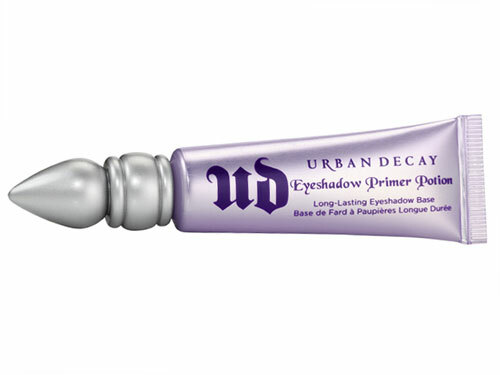 And if all-day is long enough for you, wear it with Urban Decay’s raved-about primer. I love it, beauty gurus love it, and you’ll love it. Seriously. Similarly, this mascara goes everywhere with me. I have naturally long lashes and prefer subtle makeup for daytime wear. Sheer Cover provides that subtlety while still adding just enough volume and definition. It comes in a weird black-brown mix, but it works for every shadow and every eye color. If you’re looking for real thickness, add a few coats. But if you’re looking for classic, feminine simplicity…start here. Finally, let me wrap things up by raving about the Life is Good Music Festival that took place last weekend at Prowse Farm in Canton, MA. Headliners included Sara Bareilles, Michael Franti, and Dave Matthews with Tim Reynolds. Due to a family wedding, I was only able to go to the latter. But that was enough. I’ve never experienced an environment of such shared joy. One-hundred percent of the profits and fundraising from Life Is Good go went the Life is Good Playmakers, helping kids overcome poverty, violence, and illness. 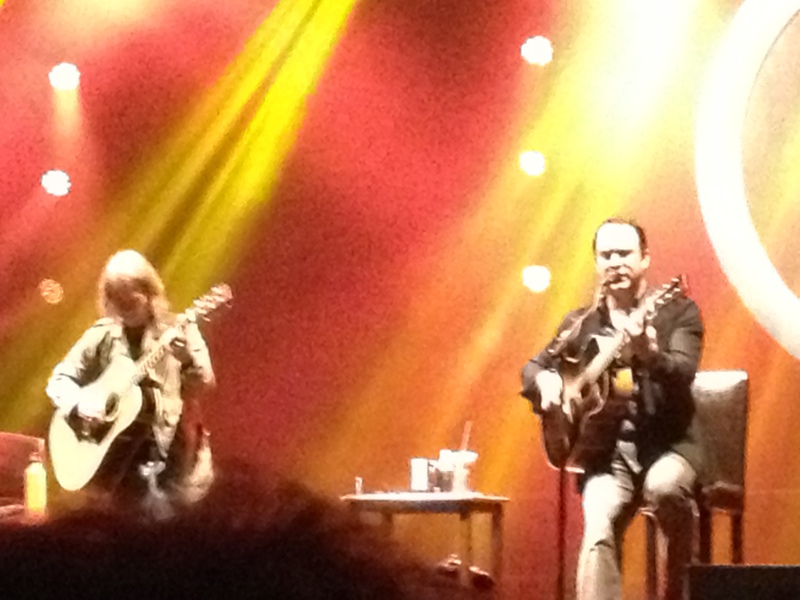 We were THIS close to Dave and Tim! A heads up for the next two weeks, I am obscenely busy. Midterms like you wouldn’t believe. I’ll post again ASAP, but I apologize in advance if it ends up being longer than normal. Thanks for reading!